Birth of a Fishery... 'toes' are now being dipped! Well, August has come and gone and with it any last vestigies of summer. It's now October and things have also moved on some what since our last visit. Lakes 1, 2 and 3 are all now complete... Lake 2, or Railway as it's now been designated, along with Lake 3 have even started to host matches, but more of that later. 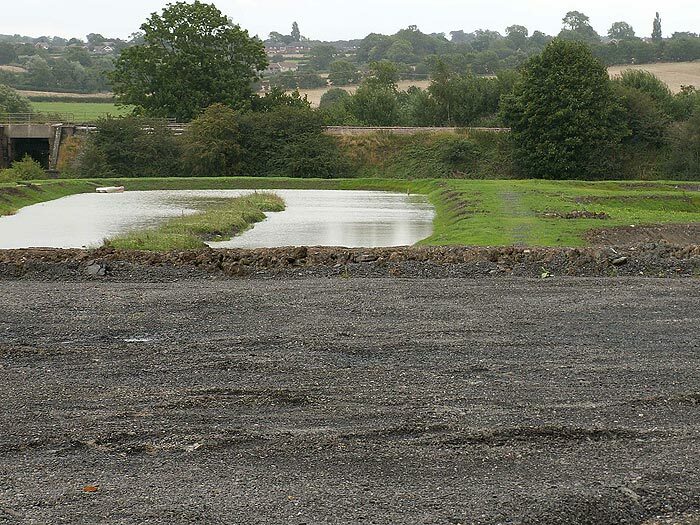 You may remember that the first lake Pete started (1), came to a halt when it was discovered just how much earth was going to be needed to build the banks up at the downhill end. 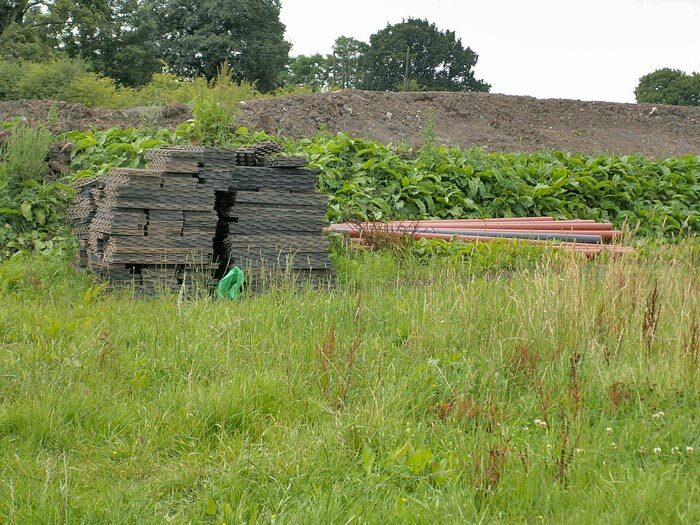 With the excavations of Lakes 2 and 3 that soil became available and Lake 1, or Folly as it’s been christened, emerged from the ground. It’s intended that it will be one of two dedicated pleasure pools on the complex. It will not be used to host any matches, not even small club ones. “Pleasure anglers are important to us, I want to ensure that there’s always plenty of space for them” Pete told me. One unplanned change to Folly has been made, the top car park end has been segregated from the rest of the lake to create a stock pond. 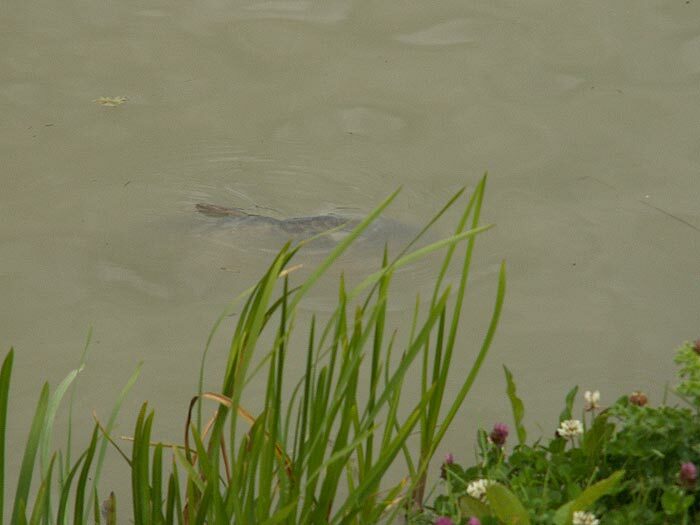 “Almost as soon as we had stocked Railway, the carp bred and it became teeming with fry!” said Pete. “It therefore made sense to create a stock pond for them. 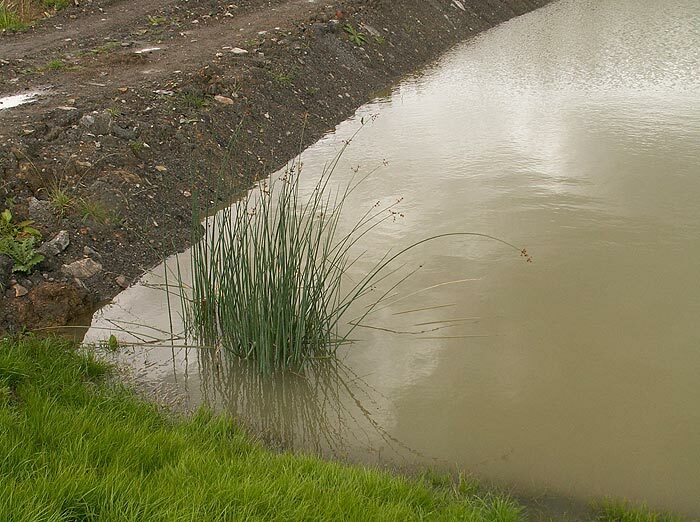 This pond would also serve as a temporary holding area for new fish stocks, before they're actually introduced into our main complex. By monitoring them for a few weeks prior to release, we can ensure we don’t get any unseen health problems". Called Railway, because of the railway line which runs at the bottom end of the complex, the lake is the first of two out-and-out match lakes. Every peg is identical in every possible way, the same distance to the central island (11 metres), the same near shelf, the same distance from the next peg, the same depth. “I wanted to make the match lakes as fair as possible and I believe I’ve achieved it!” was Pete’s proud claim, and I’d have to agree with him. Looking over the two match lakes, Railway and the as yet un-named Lake 3 (and as I write- un-stocked), it’s plain to see the care with which they’ve been built, pegged and planted. 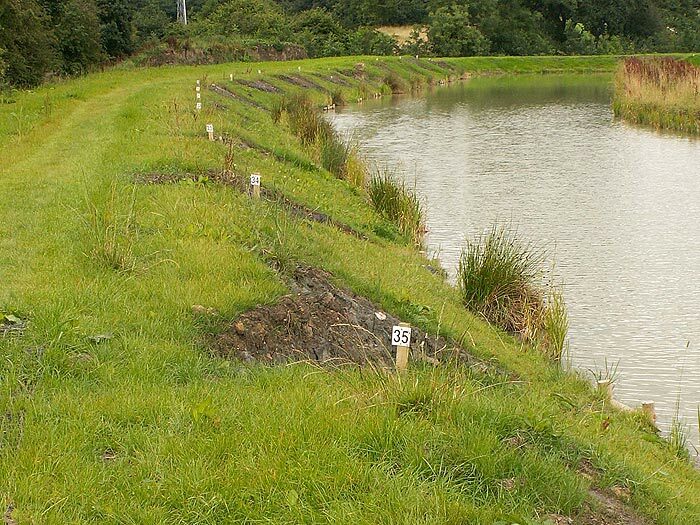 Each and every peg looks identical, right down the sloping path down to the lakeside. Like the teeth of a zip, I thought as I looked over them. But a lake needs fish to make it complete, so what’s been stocked in Railway? “It’s all carp” Pete told me. “We had a batch of 6-8” fish, and one of 8-12”, as well as a hundred or so larger ones up to about 5lb. In total we've stocked around 5000 fish.” That means with 36 pegs, there’s an average of about 65lb of fish per peg, a level that was recommended to Pete by his fishery consultants. Folly Lake has also received a couple of batches of carp, with more emphasis on the bigger specimens, and there’s more carp to come plus silver fish as well will be joining them. These fish will be stocked over the coming months, with the silvers coming over this winter. Bream and skimmers, in particular, are best stocked when the water temperature is at its lowest. As I mentioned at the start of this feature, there have been a couple of 'exploratory' matches on Railway and initial results had been excellent! The first match needed 70lb to win, with back-up weights around the 50-60lb mark commonplace. Even more encouragingly, every peg had produced a reasonable weight, 30lb+ was last, suggesting that the fish had spread out quickly. It’s not uncommon for fish to stay around the area in which they first introduced and stay there for several weeks, if not months! I’ve personally seen this happen at other fisheries and it's so frustrating when a match becomes nothing more than a drawn lottery! Thankfully, that hasn’t happened here, probably because of the very even nature of the lake, there really seems to be no obvious holding areas for fish to congregate in. With both Folly and Railway stocked and another about to be, there was still plenty of work in progress. On Lake 4, where the topsoil was just being scraped off during my last visit, the two contoured parallel strips have been finished and were filling up with water rapidly. The strip's are 90 metres long, 11m wide and 4 feet deep and filled within 48 hours. The decision whether to link one end into a 'horseshoe', join them at both ends to form an elongated 'rectangle', or simply leave them as two separate parallel pools, will be taken in due course. 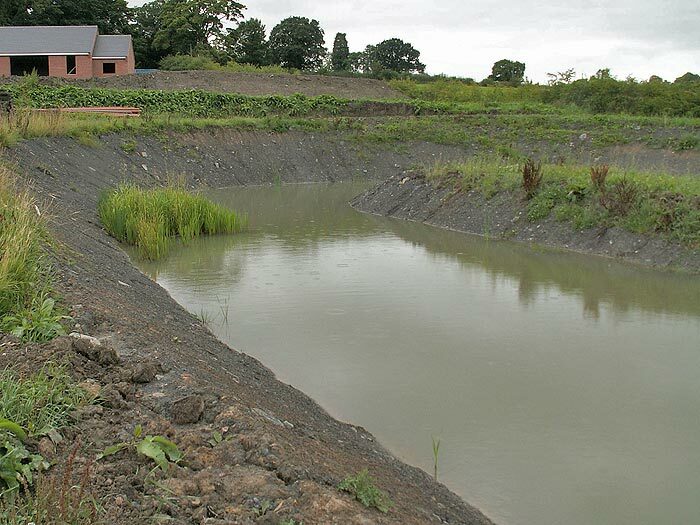 There are also another one, or possibly two more stock ponds in the pipeline. The clubhouse is coming along nicely, and should be up and hopefully running soon. A few weeks ago, work came to a temporary standstill because the windows and doors hadn’t been delivered on time and the Project Manager was away. Once the windows and doors arrive, there's just the ceiling to be hung, walls plastered and fitting-out to be completed. Pete is now taking bookings for further club matches on Railway and Lake 3, and if you fancy a days’ pleasure fishing, Folly is available. Lake 3 should be stocked by now and already open. With anglers starting to grace the banks, even the official opening is still a little way off, so Pete has been able to put his mind to a few rules. Few being the operative word here: Barbless hooks only; all fish must be netted; feed pellets must be bought on site; NO cat or dog meat; NO floating baits... and that’s it! Just a few simple rules, with fish and wildlife welfare very much the only reasons for any of them. 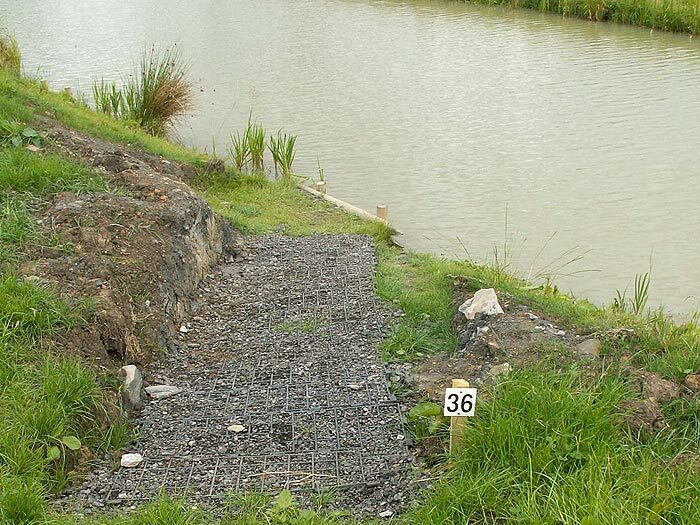 Now, here’s YOUR chance to make a permanent and lasting mark on this lovely new fishery... Pete needs names for lakes 3 and 4, and we would like you to provide them! Lakes 1 and 2 have already been named so we need names for Lake 3 (the 2nd match lake), and Lake 4 (the 2nd pleasure lake). The best suggestions will be passed on to Pete and his team, and the winners will enjoy a complimentary day out on the venue after the official opening... or on opening day itself, if you’re available! Email your suggestions to: fisheryname@matchangler.com and we’ll keep you informed of which names are chosen. I’ll be back at the fishery soon, to fish my clubs' Fur & Feather, so I’ll provide a full write-up of how it goes, as well as an up-to-date and concluding report on the rest of the complex.